MEDIA PIECE - Sept. 20, 2016 Dayton Daily News "local terror expert"
MEDIA PIECE - July 8, 2016: TV/NEWS. DALLAS SHOOTING, ACT OF TERROR? YouTube: A Friday afternoon in the department. Terry L Oroszi, M.S., Ed.D. Terry L. Oroszi, MS, Ed.D. See below for her CV, current publications and presentations. A short bio (~250 words) can be found here. Dr. Oroszi is an assistant professor at Wright State University's Boonshoft School of Medicine, in the Department of Pharmacology & Toxicology and got her start in the department as a staff scientist doing molecular genetics work. 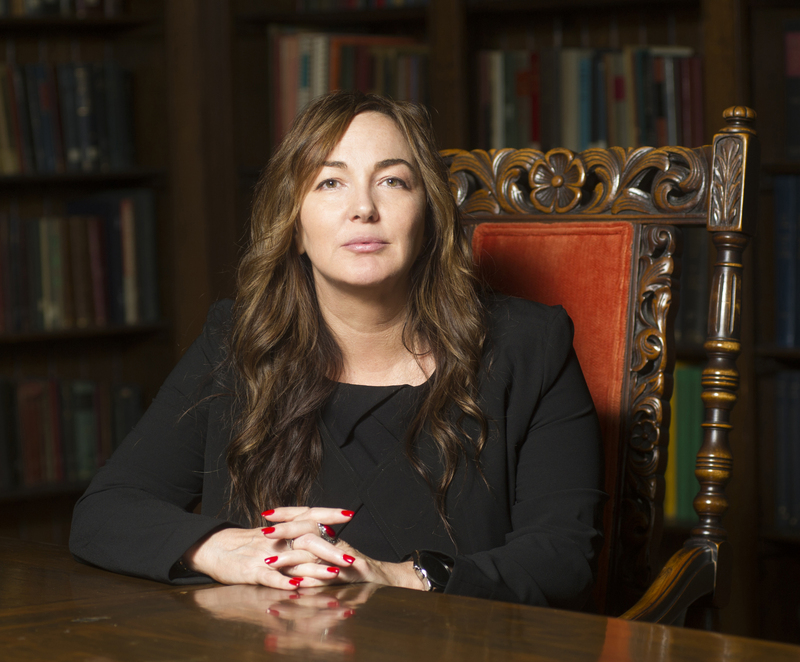 Thanks to a unique opportunity and her military (Army) experience She found herself doing research on terrorism, specifically identifying patterns and trends (profiling, criminal and noncriminal), high stakes decision-making for Crisis professionals, and leadership. She also holds an administrative role as director of the numerous graduate programs (tracks) and the Chemical Biological Radiological and Nuclear (CBRN) Defense Program. Neighboring WSU is Wright Patterson Air Force Base where Dr. Oroszi shares her time as a Strategic Planner (Molecular Mechanisms Branch). Terry teamed up with Dayton Mayor Nan Whaley to create a 50-member Dayton Think Tank (DTT). A not-for-profit organization with a focus on Crisis/Threat/Emergency and Disaster Management. The DTT members are some of the regions top crisis leaders, to include several mayors, police and Fire Chiefs, Physicians and other Health Care Professionals, Military Officers, and other stakeholders. 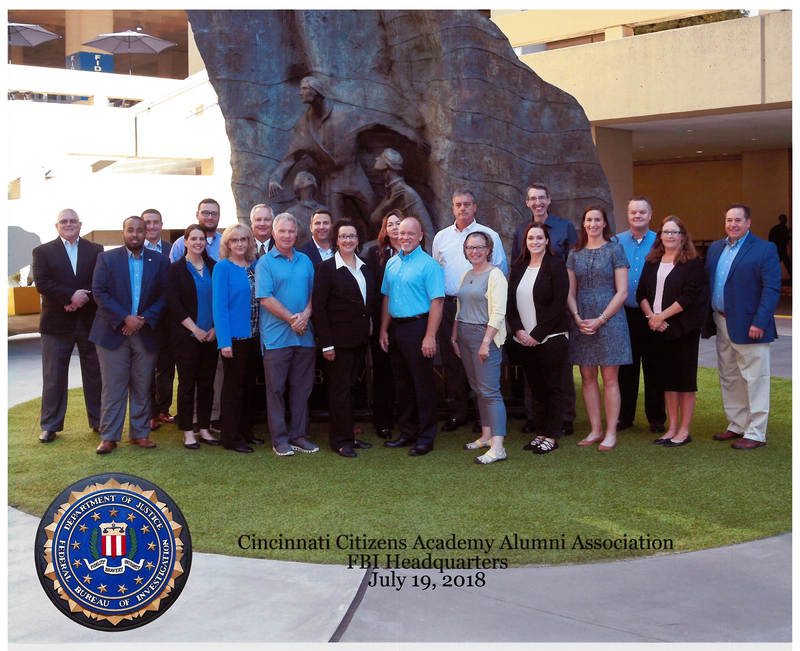 In her spare time she teaches Terrorism and Leadership at the Advanced Technical Intelligence Center (ATIC) for their analyst boot camp, she is th vice president of the Dayton Chapter of Infragard (FBI/Public Sector partnership), a recent graduate of the FBI Citizen's Academy, and gives talks/workshops in the areas of Terrorism, Crisis Decision-making, and Leadership. If you are interested in attending one of Dr. Oroszi's talks or inviting her to give a talk (seminar, keynote, or workshop) she can be reached by email. and identified patterns/trends, and created an 8-marker profile. For example, Ohio is #5 in the country for terrorist residence. New variables recently added include: citizenship type (naturalized or birth), their resident city, FBI involvement, and targets (to determine the top 5 targets). If a workshop is included the participants study up to 3 case studies (1 hour each) surrounding 4 terrorists and discuss findings. Tailored for Intel Analysts. (This research and concept was done exclusively by Dr. Terry Oroszi) An example of this work (PPT/PDF) can be found below. Educated (increased chances with unemployment). Raised without a father figure. From a middle or high-class family. 2. High Stakes Decision-making for Crisis Leadership. This research has been presented at 3 national meetings, and was recently published (May 2018) in the Journal of Business Continuity & Emergency Planning. If a workshop is included the participants create a Personalized Crisis Plan for their Organization. This research involved an exhaustive search of the literature to determine internal and external factors that influence decision-making by crisis leaders, it also involved reaching out to global crisis leaders and asking a series of questions to create a new Decision-making model. This new model can be valuable for both the experienced and new crisis leader. (Research was performed exclusively by Dr. Terry Oroszi, and was supported by an IRB) An example of this work (PPT/PDF) can be found below, as well as the most current publication. 3. Leadership - Disruptive meetings. After a 30-minute PPT on verbal/nonverbal behaviors, the audience participates in a mock meeting with meeting members demonstrating behaviors and watchers determining which member they are, based on behaviors. (Presentation and game was designed exclusively by Dr. Terry Oroszi) An example of this work (PPT/PDF) can be found below. 4. Leadership - 4/5/6 Power Platform, a fun game that lets participants choose leadership cards (4-frames, 5- powerbases, 6 - leadership styles) that best reflect them and learn about their leadership. The combination of cards can say if they will be/are good leaders, if they would lie, cheat, steal..., lack confidence, care too much about their people, and more... dubbed "tarot cards for leaders". Good for anyone wanting to improve their leadership skills or interested in hiring a person to fit a particular need. (Game was designed exclusively by Dr. Terry Oroszi) An example of this work (PPT/PDF) can be found below. 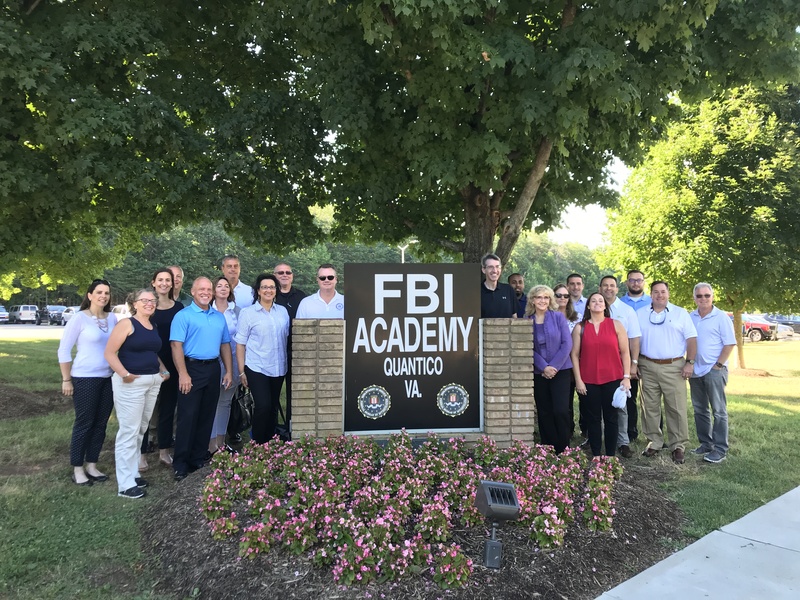 Oct. 2018 - Intelligence Analysis Career Training (IACT) Program - The American Terrorist: Finding Patterns in the Data. 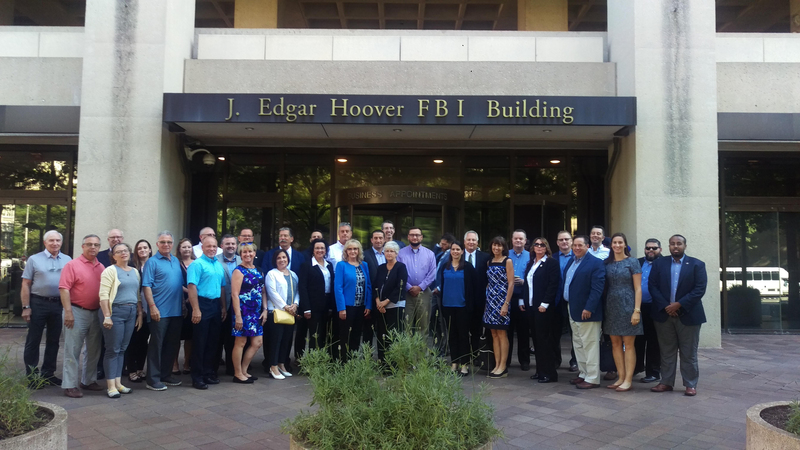 Sept. 2017 – Speaker and designated Delegate at the 2017 FBI/Infragard training conference, Dallas, TX. Aug. 2017 – TriService Tox Consortium Abstract/Presentation DoD Toxicology efforts. May 2017 – Cincinnati Infragard Speaker Topic: Americans Killing Americans: A Comparison of U.S. Male Citizens Charged with Acts Related to Terrorism Since 9/11. Dec. 2016 – Navy Commander and Branch Chief (Tox) certificate program discussion and follow-up submission. Oct. 2016 - Led a Terrorism Case Studies 3 hour Workshop for Advanced Technical Intelligence Center (ATIC) Analyst Bootcamp. Sept. 2016 - Power Platform 2-hour workshop for Advanced Technical Intelligence Center (ATIC) Analyst Bootcamp. Sept. 2016 - Led a Terrorism 4-hour Workshop for Advanced Technical Intelligence Center (ATIC) Analyst Bootcamp. Sept. 2016 - Power Platform workshop for BioStar Students. July 2016 - Dayton Think Tank, first meeting. July 2016 - WDTN/FOX 45 TV News interview. July 2016 - One of the leads for an Active Shooter Scenario involving VA/Dayton/Fairborn Police, SWAT, Hostage Negotiations. July 2016 - TV interview, Dallas Shooting. Terrorism. July 2016 - FBI Biosecurity workshops, one of the leads. June 2016 – Led a 4-hour Terrorism Workshop for Advanced Technical Intelligence Center (ATIC) Analyst Bootcamp. June 2016 - Abstract for OSHA Grant submitted. May 2016 - Abstract for SAFE ASSOCIATION National Meeting (military) submitted. May 2016 - MedBiquitious Conference, Implementing Provider, Patient: Provider and Patient Facing Interventions in a Virtual Environment Johns Hopkins, Baltimore. April 2016 - Invited Speaker Centerville Public Library, terrorism, >100 people in attendance. April 2016 - Rotary Club invited speaker, terrorism. April 2016 - Meeting with Dayton Mayor on Think Tank and 4/5/6 Power Platform. March 2016 - Fox 45/ABC 22 TV interview on the closing of Guantanamo Bay Prison (GITMO), Cuba. March 2016 – Presented two workshops to the Staff Development day (total 92 attendees) 4/5/6 Power Platform. Feb 2016 - Invited guest on behalf of the United States, United Nations Conference on Human Rights of Victims of Terrorism, United Nations Headquarters, New York. Feb 2016 - Keynote speaker, Defense Institute Study and Education (IDSE) Military Supply Chain Workshop. Jan. 2016 - Presented a half-day workshop on domestic terrorism for ATIC Analysis Bootcamp Students looking to get into the intelligence arena. Jan 2016 - Led a lecture (100+ attendees) on the psychology behind the use of WMDs and terrorism. Jan. 2016 - Attended an international conference on simulations, WSU took home an award (#1) on Sim games; VA SimLEARN was #2. Workshops attended included two on qualitative methods some used in this research, and TED talks. Dec. 2015 - FOX 19 live TV interview on a new book. This interview was repeated on 20+ media news links in the state. Dec. 2015 - DDN Newspaper article on the new book. The article was published in several newspapers throughout the region. Oct. 2015 - Led a Terrorism Workshop for Advanced Technical Intelligence Center (ATIC) Analyst Bootcamp. Oct. 2015 - CBRN (Chem/Bio/Rad/Nuc defense program was funded by the Medical School to go National, including hiring an Assoc. Director. Oct. 2015 - Two papers (blind, peer-reviewed) accepted for oral presentations at a Management Conference in Columbus, one on decision-making, the other on meeting attendee behaviors and identifying bias. Sept. 2015 - Attended the Association for Medical Education Conference In Europe in Scotland. May 2015 - Received a Post-Doctoral Fellowship (before completing doctorate) at the Dayton VAMC in Simulations. Was one of the leads for a Mass Casualty Incident that involved several medical centers and Emergency Response in the state. Aug. 2014 - Started an internship at the Dayton VA Medical Center (VAMC) continued on the book, spent time at NCMR, introduced to crisis gaming. May. 2014 - IRB petition approved to identify anonymously meeting behaviors better to understand collaborative decision making, potential bias, and conflict management. Sept. 2013 - Co-hosted the FBI/WMD terrorism workshop, FBI, EHS, P&T. Is this you? Log in to update your profile. The views and opinions expressed on unofficial pages of Wright State University faculty, staff, or students are strictly those of the page authors. The content of these pages has not been reviewed or approved by Wright State University.